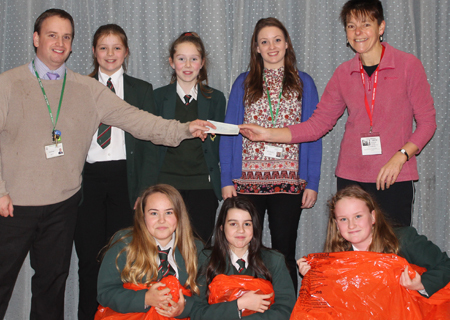 A huge thank you to the pupils of 8E3 at Kirkbie Kendal school who did a rough sleep for the Winter Shelter back in October. We were delighted to meet some of the children at the school yesterday and pick up a cheque for a massive £780 from the teachers who did it with them – Martin Rogers and Sophie Marshall. They slept out in the school grounds on the night of Storm Callum (Friday 12 October) so they really earned their sponsorship money! The money is going towards another supply of our new camp beds for the Shelter and a Christmas Eve treat for our guests at this year’s Christmas Getaway.